The amendments of the Code of Criminal Procedure (Act No. 95 of 2007) enabled victims to participate in trials (victim participation) from December 1, 2008. Under this new system, the court may, when it finds it to be appropriate, allow the victim or others, or the legal representative of such victim (hereinafter, the reference to “the victim” could include others and the legal representative) to participate in the proceedings of the case by a ruling. The participating victim or the entrusted attorney may appear on the trial dates, may state an opinion to the public prosecutor relating to the authority exercised by the prosecution with regard to the case, may examine a witness with regard to the matters relating to the circumstances, may state an opinion as the victim of the case on the finding of facts or the application of law and for the purpose of stating such an opinion, may ask the accused questions. The court may take various measures of protection such as placing a shield between the participating victim and the accused and/or the spectators, or allowing the victim to be accompanied by someone who is appropriate for easing the participating victim’s anxiety or tension. 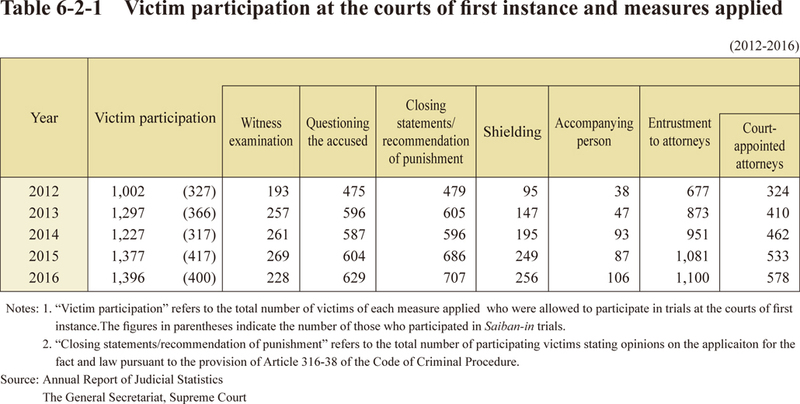 Table 6-2-1 shows victims who participated in the trial at the court of first instance and measures applied. Separately from the aforementioned victim participation, the court is to allow the victim to state an opinion or submit a written opinion on his/her sentiments or other opinions relating to the case at trial upon the victim’s request. The court may apply the same measures for witness protection at trial such as placing a shield, allowing the witness to stay in a separate room and video-link with the courtroom during the testimony, and/or allowing the witness to be accompanied by an appropriate accompanying person. In consideration for the need of the victim to have a valid remedy for the damage from the offense, civil settlement reached with the offender could become an enforceable title of obligation if the terms of the settlement are included in the trial record of the criminal case. Also, from December 2008, the court of the criminal case of a specific serious offense may, upon the request by the victim of the crime, continue with the civil case using the record of the criminal case after the conviction and render a compensation order. 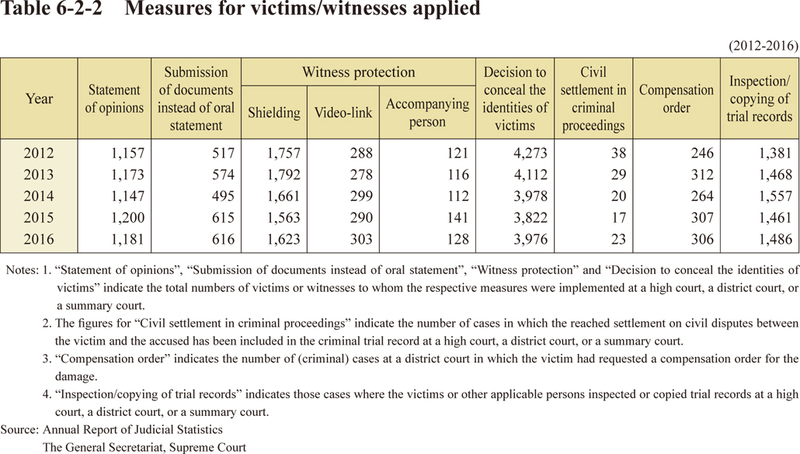 Table 6-2-2 shows measures applied to victims or witnesses for their concerns.